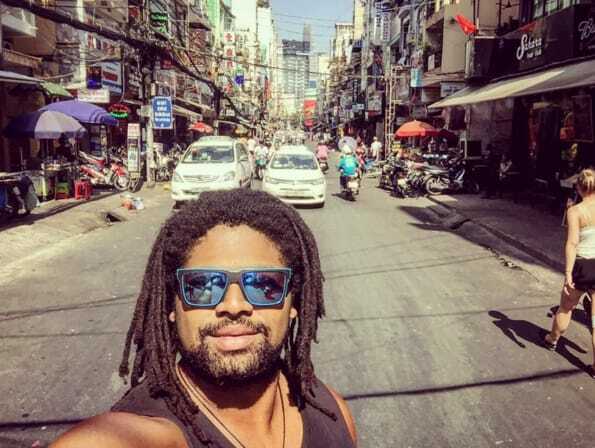 Ex-Panther Jamal Idris has been involved in a terrifying kidnap attempt during a holiday in Vietnam. Idris was in Vietnam on a Contiki tour, and had updated his Instagram account as recently as Saturday, taking a selfie in the busy streets of Ho Chi Minh City. Seven News reporter Liam Cox broke the story tonight, revealing the giant Idris was able to overpower his would-be captors. “People very close to Jamal Idris have told Seven News that he was the victim of an attempted kidnap,” said Cox. “These people, they were violent, they tried to extort a large sum of money. Reports have not confirmed Idris&apos; current whereabouts, but the Contiki Facebook page has apparently posted that Idris is safe. Why the kidnappers singled out a 6&apos;5", 120kg ex-rugby league player as a potential victim remains a mystery.